Italian everbearing fig trees, like all other species of fig trees, develop and thrive in a semitropical climate where temperatures in the winter stay above 15 degrees Fahrenheit. Newly planted fig trees in areas with temperatures under 25 degrees Fahrenheit can be harmed and require cold protection. Italian fig trees grow best outside in areas with warm Mediterranean climates or in containers in regions with colder environments. Caring for the Italian everbearing fig tree begins right after planting. Plant the Italian everbearing fig tree in an area providing full sun all day. Place fig trees growing in containers in sunny locations. Stake a newly planted outdoor Italian everbearing fig tree, if needed, to support it. Cover the soil around the base of the Italian everbearing fig tree with 3 to 4 inches of mulch. Keep the mulch away from the tree trunk and extend it out in all directions under the tree's canopy region. The mulch will keep the moisture in the soil and prevent any weeds from growing in the area. Water the Italian everbearing fig tree thoroughly after planting. Supply 10 gallons of water at least three times weekly to the fig tree for the first year until the tree becomes established. 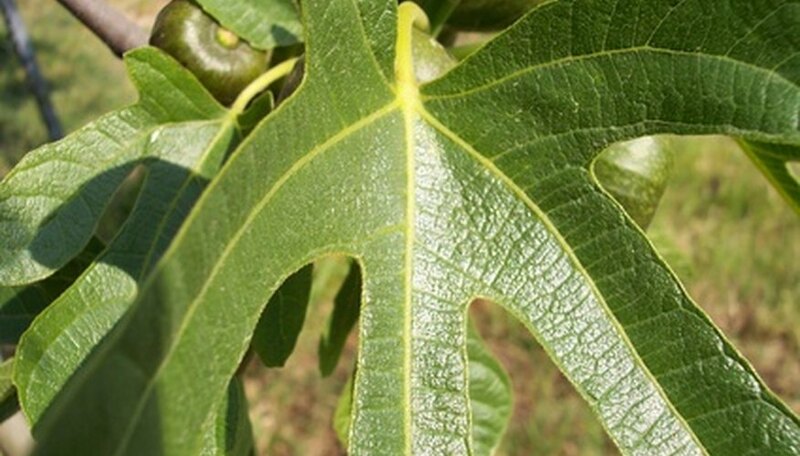 Provide water to established figs only during prolonged drought periods of more than two weeks. Fertilize an Italian everbearing fig tree sparingly and only if the branches' growth was under 12 inches the year before. Apply 1/2 lb. of a fertilizer, such as 10-10-10, from three to five times between February and August. Water the tree thoroughly after applying the fertilizer. Prune the fig tree lightly and only after the season's harvest. Cut the fig branches back to an outward-facing bud. Get rid of any damage, diseased or broken branches on the tree. Provide protection during the winter to any Italian everbearing fig trees planted outside in an area with cold temperatures. Cover the entire tree from top to ground level with insulation material, such as blankets or cloths. Place plastic over the covering to prevent it from becoming wet. Move Italian everbearing fig tree in containers inside after all the leaves have fallen off and only supply one cup of water monthly. Place the trees in dark and cool areas inside to prevent early growth. Move the containers back outside, once the threat of frost has passed.